It is never too early to start taking preventative measures against fine lines and wrinkles. Neuromodulators such as Botox and Dysport can help delay, alleviate or soften expression lines in the frown, forehead and eye areas. Dermal fillers can be used to soften laugh lines, restore fullness where it has been lost and plump lips. Chemical peels and topical creams can help stimulate collagen growth, which over time we begin to lose. 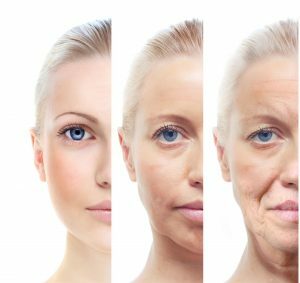 Unfortunately, we cannot stop the aging process but we can help slow it down with key changes in our daily routines as well as with many of the treatments and products offered in Premier Spa & Laser Center. Stress, smoking, sun exposure, and diet are just a few things that play havoc on our skin and health but can be easily addressed with lifestyle changes, unlike our genetic make-up. Many people can blame their parents for their drooping eyelids, dark circles around their eyes or sun damaged skin. In order to address these problems a more invasive treatment may be needed such as chemical resurfacing, ablative lasers or surgery. During your consultation, your specific concerns are discussed and our licensed aestheticians will review your options. They may refer you to one of our board-certified plastic surgeons. 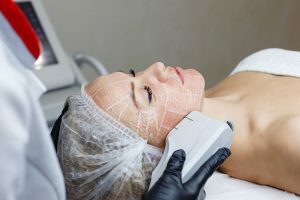 IPL or high-intensity pulse light therapy is another option for those who do not have the downtime or may not be a good candidate for laser skin resurfacing or chemical peels. Our IPL device uses a combination of radio frequency and broad spectrum light to safely fade or eliminate sun spots, facial flushing, broken capillaries, freckles, redness and more. The face, neck, chest, arms, and hands are the most common areas where this treatment can be utilized but areas like the back and legs can also be treated. IPL works best on lighter skin types that have not been tanned. We recommend avoiding sun exposure during times of this treatment. First, we recommend scheduling a complimentary consultation where our licensed aestheticians can fully assess your skin needs and determine the most suitable treatment plan for you. With our new Visia Complexion Analysis System, we can determine your overall skin’s condition as well as track your skin’s progression throughout your treatment course. Typically treatment protocol recommends 3-5 treatments, 4-6 weeks apart to obtain best results. The total number of treatment sessions will vary depending on the condition of your skin. There is little to no downtime following this procedure. You may see an increase in redness directly following your treatment but this subsides within a few hours. 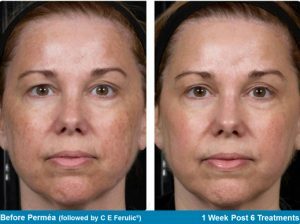 You may see an increase in pigmentation following your treatment since the underlying sun damage in the skin is brought to the surface. Post-treatment you will notice tone and texture improvements as a result of increased levels of beneficial collagen and new healthy skin cells and reduction of sun damage. Sometimes we are faced with limitations to treat our skin imperfections that seem to impact our self-confidence. The cost, pain, recovery and side effects are all factors we think about when considering having a treatment or buying a skin care product. Premier Spa & Laser Center now offers you a more affordable laser skin resurfacing with less downtime. 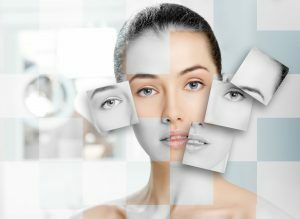 The Sublative skin rejuvenation treatment is a unique procedure which uses fractionated bi-polar radio frequency to deliver effective but controlled treatment for mild to moderate wrinkles, reducing acne scars and large pores as well creating smoother more elastic texture. So how does it work you ask? 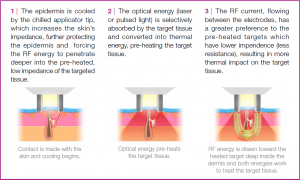 Radio frequency (RF) energy is precisely directed into the skin in the form of a matrix. Healthy skin around the matrix dots accelerates the healing process of the skin. Post-treatment, new collagen, and healthy skin cells are produced. The Sublative laser penetrates more deeply than creams and peels and addresses your skin’s overall tone and texture more effectively than injectables. We still suggest using these other treatments in combination to achieve a more effective skin care regimen treating the skin from inside and out. The most common areas treated are the face, neck, chest, and hands. During treatment, many patients feel a warm, prickly sensation as energy enters their skin. After treatment, a pink or red “sunburn” appearance is also common. For the best results, expect at least three treatments, 4-6 weeks apart. The total number does depend on your skin’s condition. This may not be the best treatment for you but you should schedule a skin assessment to see if the sublative rejuvenation treatment could be the answer, if not we many other treatments that are sure to meet your skin care needs. You may have tried an over the counter treatment at home or had one at a spa but the most effective peels are those performed by a medical professional such as a licensed aesthetician. Premier Spa & Laser Center customizes their peels to meet the needs of their clients. A peel consists of applying a chemical solution to the targeted area to superficially remove (peel) the outer epidermal layers of skin which hold onto damage and are often rough and dry. The type of chemical used will depend on your skin type and skin condition. These treatments can improve fine lines, pore size, sun damaged skin, uneven skin coloring, and light acne scars. The number of treatments will be determined at the time of consultation to achieve the best results for your skin. Glycolic acid peels are simply a chemical peel that features glycolic acid as the main component. Glycolic is derived from sugar cane and is a fruit acid. When glycolic is applied to the skin it acts as an adhesive remover, releasing the older, rough, dryer skin off the surface. After the top layer is removed the fresh, new underlying skin is visible. The glycolic acid does come in varying strengths; your aesthetician will choose the most effective for your skin concerns. A glycolic peel works well to target wrinkles and acne. The skin feels less oily and much clearer following this peel. For the best results, a series of peels is recommended. There is no real recovery time following this peel but the skin may be a little red and swollen like a sunburn, following procedure but it will subside in a few hours. Sunscreen is applied when the treatment is complete and we recommend daily sunscreen use since the skin is more sensitive following the treatment. The skin may be more flaky and dry for a few days but with a good moisturizer, it is not a problem. A Jessner peel is a medium depth chemical peel, stronger than most superficial enzyme and chemical peels. This peel creates more temporary damage to the skin in the process. A Jessner’s Peel is a combination of salicylic acid, resorcinol, and lactic acid. They work together to exfoliate the outer layers of skin by breaking up the dead cells. This peel encourages natural peeling for several days after application. You can peel for about a week but remember the deeper the peel penetrates the longer the recovery period. Your skin may first appear to be pink but fades into brown. Your skin may feel tight and dry. It may feel a little more sensitive for the first few days that follow. A moisturizer and sunscreen are recommended after this treatment. This peel can be repeated every four weeks until desired results are achieved but many clients are happy after one to two. We do require meeting with our aestheticians prior to these treatments since there are some contra-indications that would not make someone an ideal candidate for this particular peel, but after a consultation, the best treatment plan will be chosen for you. It combines TCA, phenol, salicylic acid, and vitamin A and a medical grade botanical blend. VI Peels are considered safe for all skin tones and ethnicities. It can be used on the face, décolletage, and hands. After the peel is applied by our aestheticians in the office it needs to remain on the skin for at least 4 hours after at which time it can be washed off. A small aftercare packet is provided to take home and used to enhance your peeling process. You may experience some redness and mild swelling. This is normal and does resolve within 24 hours. We recommend avoiding exercise or strenuous activities for at least 24-24 hours after this treatment. You will start to see peeling about two to three days after and could last up to a week of peeling. We recommend with all our services to wear sunscreen after since the skin will be more sensitive. We do recommend a series of three to four spaced 3-4 weeks apart for optimal results but you will see improvement after one. The number of treatments is dependent on each individual’s skin type and level of correction needed. Schedule a complimentary consultation to find out more about these peels as well as the many other treatments offered at Premier Spa & Laser Center. An Image Skincare Treatment is a resurfacing treatment designed to improve and enhance the skin. Its benefits include skin clarity, even skin tone, and improved texture. Image Skincare offers a variety of different peeling solutions for various skin conditions including acne, aging, sun damaged, rosacea or hyperpigmentation. Your aesthetician will choose the most suitable treatment for you following your consultation. 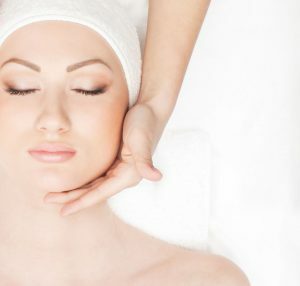 An alternative to chemical peels would be enzyme peels. An enzyme peel is a more gentle solution. They can speed up natural chemical reactions in the skin that renew skin cells while exfoliating dead cells. These peels can be used to diminish scars, age spots, fine lines and cleanse pores and improve skin tone and texture. There is no downtime since they do not damage any live tissue only exfoliating the dead cells. This fruit enzyme treatment works as an exfoliation accelerator, a powerful anti-oxidant, and a mild retinoic acid substitute. Pumpkin has the highest concentration of vitamin A of any vegetable. This is used as a natural repair therapy to help with certain types of skin damage. Cranberry has some of the most potent levels of anti-oxidants of any of the fruit enzymes. It is a natural form of benzoyl peroxide. Cranberry helps with oily skin and helps to calm acne prone skin. This is revolutionary, glorious oxygen therapy! Absolutely wonderful for the client who needs instant radiance for a special event. Created to suppress oxidative injury to skin cells from aging, environmental toxins, bacterial and viral intrusion, solar radiation and diet. Oxygenating skin cells repair, regenerate and refine. Is a specially formulated chemical free solution that has the power of a chemical peel. Wine as a key Ingredient its antioxidants which will treat dehydrated, mature, wrinkled and sun damaged skin. This mild skin peel will give the result of a luminous, hydrated, softer, firmer and healthier looking skin, a great anti-aging treatment. Are you looking for something more than microdermabrasion but not as aggressive as an ablative laser to brighten your skin? Clear + Brilliant may be your answer. 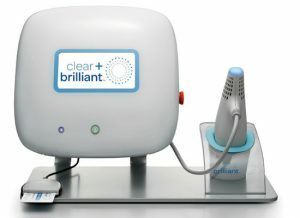 Clear + Brilliant is a gentle laser treatment that refreshes the skin from the inside out. This treatment helps to replace damaged skin with healthy, younger looking tissue. It is a treatment for all ages due to the fact sun exposure, environmental conditions, and lifestyle plays a part into each person’s daily routine. This treatment helps to extend youthful skin or reverse the early signs of aging while helping to reduce the appearance of redness, wrinkles, and pores. Utilizing proven proprietary fractional laser science and technology, the Clear + Brilliant laser system creates an array of microscopic lesions across the surface of the skin with each pass of the handpiece. The patented pattern of lesions is created by the Intelligent Optical Tracking™ System (IOTS) enclosed within the handpiece. This patented technology creates an unparalleled even pattern on the skin – microscopic lesions that are surrounded by large areas of healthy skin – to help promote quick healing with little or no social downtime. The healthy skin helps turn over the tiny lesions in a matter of days, revealing the fresh, smoother, healthier glowing skin below. This device offers to handpieces. The Original handpiece utilizes a 1440 nm wavelength that is absorbed by the water in the skin. This procedure is non-ablative. The stratum corneum remains functionally intact which translates into a safe, low-risk treatment that heals quickly and is convenient You can apply makeup immediately after and continue your daily activities without risk to the skin. The Perméa handpiece utilizes a 1927 nm wavelength that has a significantly higher absorption coefficient than the Original. Though the stratum corneum remains intact, the Perméa handpiece creates wider and shallower lesions causing greater superficial disruption, which increases skin permeability. Topical application immediately post-treatment allows the topical to penetrate deeper in order to maximize its benefits. Since the Perméa handpiece depth is fixed at 170µm, it effectively treats the tissue where melanin resides. Perméa is also safe on all skin types because it targets water, not other chromophores such as a pigment. The number of treatments is tailored to your specific needs but a series of 3-6 treatments scheduled two weeks apart is suggested for a full sign of skin improvement. The procedure takes about an hour and can be used on the face, neck and chest area. Most clients say it feels like really warm rubber band snaps against the skin during treatment, but a topical anesthetic can be applied prior to help reduce discomfort. Following the treatment, you may see increase redness or flush appearance which subsides shortly after. We do partner this treatment with a Vitamin C serum or cream to enhance the treatment results.